Christianity is an Asian religion with many faces. It took birth in Israel from a Jewish background. As a result, the first face acquired by this religion was a Jewish face. Yeshua the Nazarene ( ‘Jesus of Nazareth’ as he is now known) was projected as the ‘lamb of God’ who ‘takes away the sins of the world’. He was also the ‘Messiah’ from the Jewish perspective. Then came the Roman face which projected him the ‘Saviour’. However, it was the Greek face that made him the ‘Christ’. (The word ‘Christ’ comes from the Greek ‘Christos’ meaning ‘the anointed one’). In course of time he has come to be known as ‘Jesus the Christ’ (‘Jesus Christ’ in short). 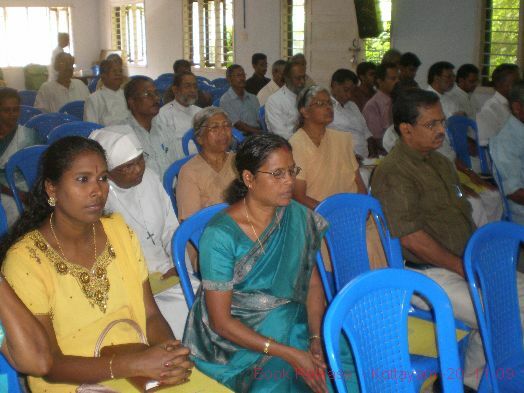 Christianity in India is often seen and projected as a religion of western origin bound with western culture. But Lord Jesus Christ was an Asian and his message can be better understood from an Asian perspective, especially from an India ‘advaitic’ perspective. India gave birth to four world religions ( Hinduism, Buddhism, Jainism and Sikhism). India also extended warm hospitality to all other religions. Spirituality has been the central theme of India’s religious quest. An integral vision of life and reality, and a holistic ecological worldview, as well as ‘an ethic of enough’ are central to Indian thought and culture. 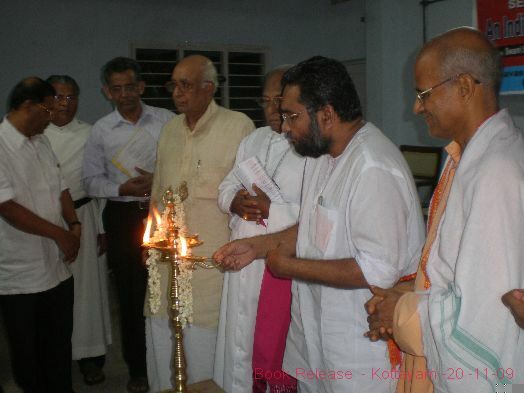 ‘An Indian face of the Christian faith’ will help to make Christianity a spiritual religion enriched by an integral vision, holistic worldview and ethic of enough. The term ‘Unbound Christ’ means the living Spirit of Christ understood and worshipped as the ‘Word of God’ (Sabda Brahman or Adi Sabda) which is the ‘Creative Energy’ that existed before creation and through which all things are created. It also means the ‘Light of God’ which is the ‘Divine Wisdom and Power’ ever active in the lives of all human beings, enlightening and enlivening every human soul. This living Spirit of Christ is present and working in, with and through all religious traditions of humankind, and their scriptures and saints. It is not bound with space and time, and is never confined to any one religion or scripture. ( Isa Vasyam Idam Sarvam). 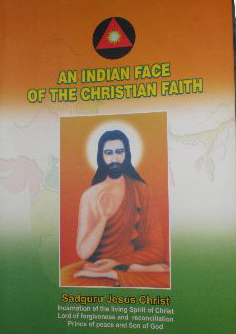 The living Spirit of Christ incarnated in its human perfection in history as ‘Jesus of Nazareth’ ( referred to as ‘Yeshua’ in Hebrew and ‘Yesudevan’ in Malayalam) who is the ‘Sadguru’ (True guru reflecting the nature of God) in our Indian spiritual tradition in whom humanity and divinity met and became one. In Sadguru Jesus Christ the divine nature and potential of every human person were revealed to the world. Sadguru Jesus Christ is ‘the standard’ and ‘the path, the truth and the light’ to be followed by all human beings in their quest for God, and for the ultimate goal and purpose of human life on earth. He is the ‘Son of God’ and ‘Son of Man’ at the same time. The Gospel of love and peace of Sadguru Jesus Christ cannot be limited to any one religion or Church. Religious conversion and cultural alienation are not necessary to accept this Gospel of love and peace following the footsteps of Sadguru Jesus Christ. The term ‘Open Christianity’ implies a Christianity that accepts and worships the ‘Unbound Christ’ as revealed by God in, with and through Sadguru Jesus Christ who is the Son of God and Son of Man at the same time. ‘Open Christianity’ implies a simple, peaceful and joyful way of life rooted in the selfless love of God and fellow human beings as taught by Sadguru Jesus Christ. It is Christianity without religious conversion and cultural alienation, and without any institutional barriers. ‘Christu Dharma’ consists of the moral and spiritual values presented to humanity by Sadguru Jesus Christ through his ‘Sermon on the Mount’ (Mt. 5, 6, 7). It constitutes a compendium of moral and spiritual values for making human life divine. It is by following these values that we can become true children of God and partners in the mission of the ‘Kingdom of God’ initiated by Sadguru Jesus Christ. The Sermon on the Mount was an eternal source of inspiration for Mahatma Gandhi. According to him, it constituted the essence of the Christian faith. ‘Christu Dharma’ is the moral and spiritual foundation of the ‘Kingdom of God’ on earth. Swami Vivekananda also felt that the Sermon on the Mount alone can lead the whole humanity to spiritual enlightenment even if there is no other religion or scripture. A true civilization of love and a lasting culture of peace in the world can be built only on this strong foundation of ‘Christu Dharma’. ‘Christu Marga’ is the path of the forgiving, enduring and self-sacrificing love as taught and demonstrated to the world by Sadguru Jesus Christ. It is a liberating, unitive and peace-making path ( Eph 2. 14-17). ‘Christu Marga’ is the path of liberation taught and demonstrated to the world by Sadguru Jesus Christ through his life, death and resurrection. It leads us to ‘eternal life’, moksha. It is the path of non-violent individual and social transformation. Gandhiji, Martin Luther King, Nelson Mandela and other peace-loving leaders of the world followed this path in their struggles for justice, peace and liberation. The Christu Marga is termed ‘Sahana Yoga’ which can be defined as the yoga of forgiving, enduring and self sacrificing love. Jesus the Christ is the ‘Sadguru’ ( Lord and Master) of Sahana Yoga for all humankind. ‘Christu Shanti’ is the peace that Sadguru Jesus Christ gives to the world (Jn 14.27 ). This is a peace that takes away all fears and worries from us and makes us free and true children of God. It is a peace that comes from rootedness in the living Spirit of Christ who is the truth and grace as well as the power and wisdom of God. The ‘Shanti Yagna Meditation’ is a form of meditation to enable us to experience this ‘Christu Shanti’. ‘Christu Shanti’ is the fruit of an absolute faith in Sadguru Jesus Christ and adherence to the Christu Dharma and Christu Marga taught to humanity by him. It is a peace that the world cannot give or take away from us. It is the ‘yeast’ and ‘seed’ of true and lasting peace within oneself, within the family and society, and within the whole world. 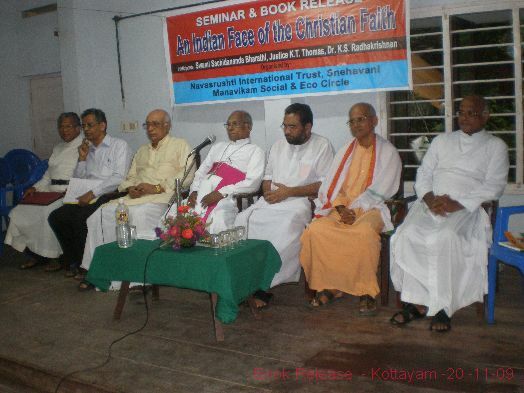 These five constituent elements of an Indian face of the Christian faith can together transform Christianity into a spiritual religion of love and peace without any religious conversion and cultural alienation.